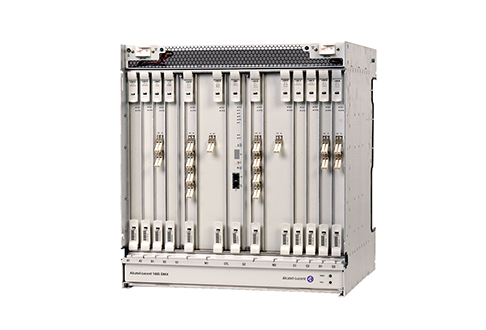 The Alcatel-Lucent 1665 data multiplexer provides a small solution to deliver highly efficient and scalable support for Ethernet, SAN and SONET solutions and platforms with the ability to bridge the existing bandwidth gap that exists between most LAN networks and the core backbone networks you provide. If you’re considering a refurbished Alcatel-Lucent 1665 DM, you’ll be getting a smart tool that allows you to grow your multi-service capabilities or even shift from a small, traditional voice and private line service to a robust Ethernet and SAN service provider. A used Alcatel-Lucent 1665 DM can quickly help you boost your network offerings while also improving overall data efficiencies and capabilities. You’ll be especially pleased with the unit’s ability to support faster and more cost-effective solutions thanks to scalable switch fabric designed to move from 2.5G to 10G, as well as offer in-service capacity upgrades. You can use a refurbished Alcatel-Lucent 1665 DM as part of a larger optical portfolio to ensure you have end-to-end optical support for both long-haul and metro networks. Core features of these DMs include a seamless migration support from TDM to packet networks so you can offer a broader diversity of services and platforms. Give your network flexible bandwidth granularity and service scalability with a platform that can be easily connected to a wide range of routers and data switches, wideband and optical services, high-speed options and much more. It’s perfect for optimizing your revenue and reducing operational costs during the improvement and expansion of your network now and in the future as you look to next-gen services.